Ringside Intel - Intermarkets Inc.
Ringside Intel is the ultimate resource for today’s wrestling fans. 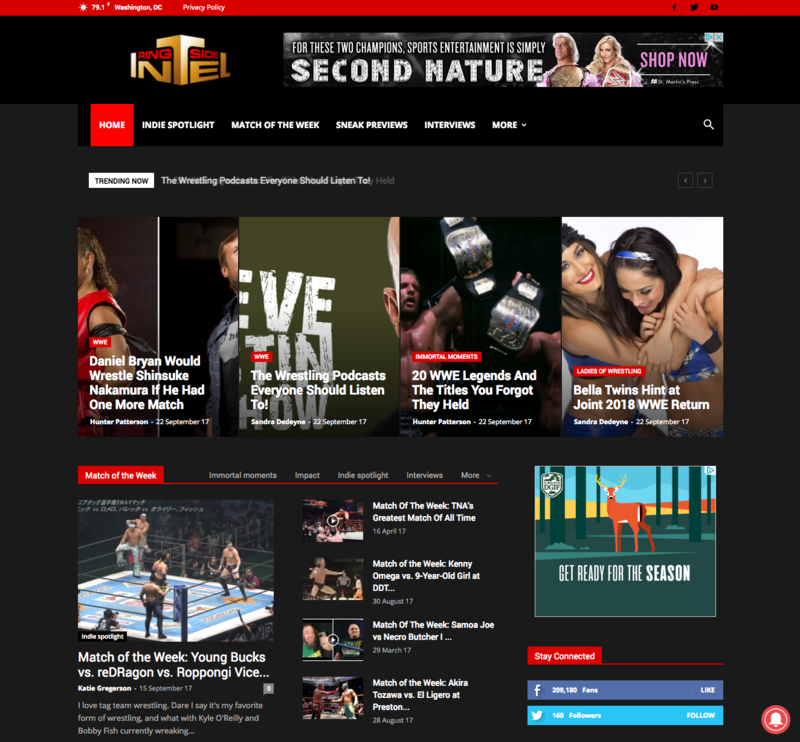 Fans get quick bites and in-depth coverage on what’s happening in and out of the ring from the big names like WWE and all the top independent promotions including Ring of Honor, Impact, and Lucha Underground. Ringside’s writers share the latest industry news and chime in on rumors with a dose of witty commentary that keep fans coming back daily. On RingsideIntel.com, advertisers jump right into the ring with this 35+ male audience. Readers use mobile devices to connect with Ringside on a daily basis. RingsideIntel.com reaches sports fans, news junkies, and people who love TV and live entertainment.